In the crowded field of labor and employment law, how does the local Fisher and Phillips branch, one of the largest labor and employment law firms in the U.S., stand apart from the competition? And even more challenging, how do you keep labor and employment law topics top-of-mind with Phoenix-based executives? After working with the Phoenix of Fisher & Phillips LLP for almost four years, Rainmaker Integrated was able to secure dozens of media opportunities for the firm and drive heightened brand awareness across a number of channels. The local partners are now considered to be industry thought leaders and a go-to resource for media when they needed a labor and employment attorney to comment on a relevant story or topic. 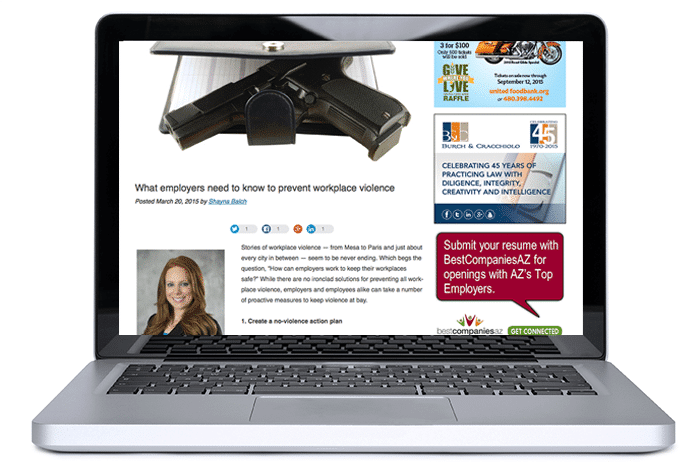 We secured consistent media placement in all relevant local media outlets, including writing a weekly article on labor and employment law topics for the Phoenix Business Journal for 2+ years. Our efforts increased brand awareness and led to the attorneys receiving several awards, including Arizona Foothills Women Who Move the Valley, Top 40 under 40, and Top Labor and Employment Lawyers in Arizona in AZ Business Magazine. 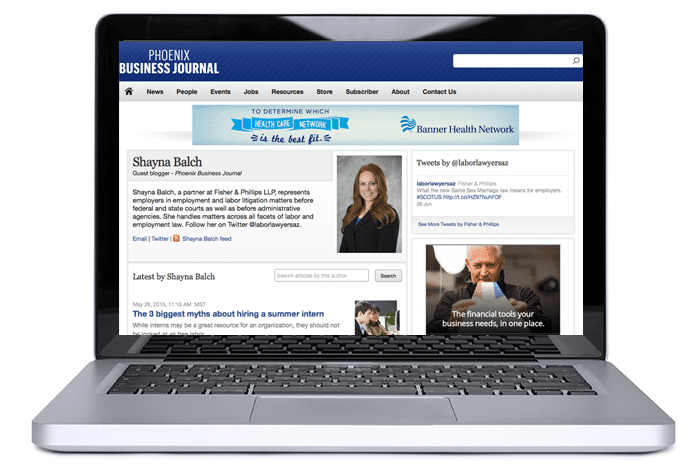 Read Fisher & Phillip’s Phoenix Business Journal Articles Here.